ISLAMABAD: In a bid to tackle pollution spewed by brick kilns in the country, especially in areas surrounding the twin cities of Islamabad and Rawalpindi, the government on Monday inaugurated the first energy-efficient ‘zig-zag’ brick kiln. The kiln was inaugurated by Ministry of Climate Change (MoCC) Minister Mushahidullah Khan through a digital ceremony at the ministry. The zig-zag kiln is expected to be far more environmentally sound when compared to its regular cousins since it is expected to emit far fewer greenhouse gases (GHG). Mushahidullah, while talking to owners of brick kilns from across Pakistan said that the sector had been widely criticised for harming the environment by spewing black smoke from its chimneys. But by changing the conventional designs of brick kilns, they could be made energy efficient apart from lowering emissions. He added that by converting kilns to this design would ensure better working conditions of labour apart from improving the quality of air for the surrounding community. Moreover, it would help lower coal consumption of each kiln by up to 40 per cent drastically reducing costs of making bricks. A side effect would be of reducing particulate matter (PM) emissions by up to 80 per cent. 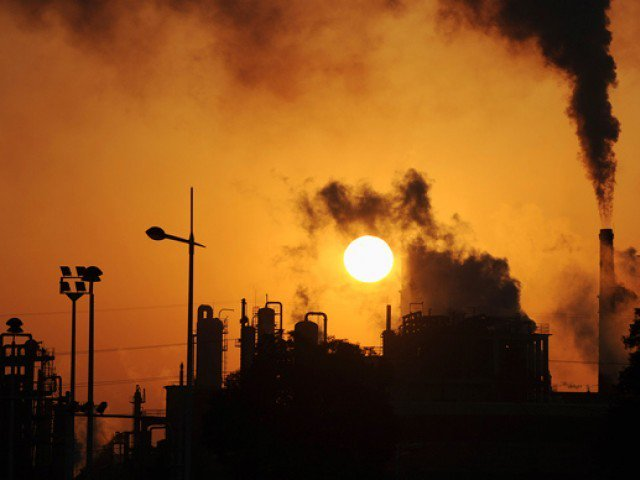 Emission of GHG would also lower by up to 30 per cent. The climate change minister further said that the MoCC and National Energy Efficiency and Conservation Authority (NEECA) will facilitate International Centre for Integrated Mountains and Development (ICIMOD) in deputing of its’ trainers to decrease operational risks and to achieve the desired results. Mushahidullah emphasised that there were around 18,000 brick kilns working across Pakistan. Of these, around 15,000 relied on local coal as their primary fuel source. “The conversion of all the kilns to zig-zag seems difficult, but it is not impossible,” he stated, hoping that the plan, which has been eight years in the making could make a difference if implemented. Published in The Express Tribune, April 24th, 2018.